Are you curious to know how other writers come up with their story ideas? 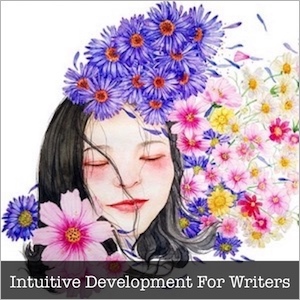 Listen to the webinar that I held with award winning novelist and ghostwriter Donna Barker; award winning children and adult novelist Fiona Ingram; and Barbara Grace, the founder of the School of Modern Psychology, as we discuss this fascinating topic and how each woman deals with it in her writing. Get the Story Ideas Webinar and receive resource updates in your inbox today. Jodi Lynn Anderson is an award winning author of teenage fiction, but she’s also very funny and insightful and a delight to listen to. She shares her writing process, schedule and inspiration and shares with us how she develops her beautiful, deep characters and builds her imaginary worlds. Award winning self-published author of the Stella Reynolds mystery series. She is an Emmy Award winning journalist, who quit her day job to write mystery novels instead. Her Stella Reynolds Mystery Series has gone on to win the Bronze Medal twice in the Readers Favorite International Book Awards. Lisa Reinicke, founder of Our House Publications, and award winning, best-selling children's author. Also works full time in her other business, the Automotive Warranty Network, which took her years to establish, and in Our House Properties. Donna Barker, technical ghost-writer, award-winning author of quirky women’s fiction and creative entrepreneur is the inaugural guest. Tiffany is a heartfelt, genuine woman who managed to write a picture book for children on the difficult topic of grief, and single handedly sold over 10 000 copies. Fiona Ingram, author of the award-winning children’s adventure book The Secret of the Sacred Scarab. She also writes Regency romance novels under the pseudonym Arabella Sheraton. We talk about Self-publishing, writing under a pseudonym, and creating your own success. Barbara Grace, a phenomenal woman, spends her time thinking about creativity - what it is, how we access it, how we can nurture it, how we use it in every aspect of our lives and much more.